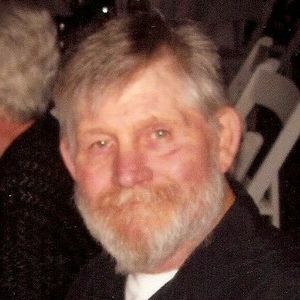 DRAKESBORO - Marvin Gidcumb, 66, of Drakesboro, died Monday, February 20, 2012 at 10:52PM at Regional Medical Center. Mr. Gidcumb was born April 29, 1945. He was an end loader operator at Reed Minerals, and was a member of Ark of Safety Church in Beech Creek. He was preceded in death by his parents, Buell and Louise Gidcumb; and brothers Jimmy Gidcumb and Larry Joe Gidcumb. Survivors include his wife, Beth Gidcumb; sons Jeremy Gidcumb of Drakesboro, Jason (Sabrina) Gidcumb of Medford, OR, and Keith (Melissa) Shelton of Franklin, KY; daughters Katherine Ralston of Ennis, Regina Gidcumb of Pennsylvania, and Chastacee (Timmy) Gidcumb of Russellville; sisters Janice (Kelly) Burris of Owensboro and Wilma Newton of Louisville; and brother Larry Gidcumb of Vine Grove, KY.
Funeral services will be Friday, February 24, 2012 at 2:00PM at Tucker Funeral Home in Central City, with Rev. Floyd Steele officiating, assisted by Rev. Darren Pentecost. Burial in Drake Family Cemetery in Drakesboro. Visitation will be Friday after 10:00AM at the funeral home. Online condolences may be made at www.tuckerfuneralhomes.com. PAPAW you were an amazing man, I love you more. I remember the very first time i met you. You welcomed me right into your home and heart. You are the best papaw I will ever have im blessed to have had you in my life... I LOVE YOU MORE !!!! Beth, You and Marvin opened your home and your hearts to me some years ago. I have enjoyed every minute I spent with you all and intend on spending more with you and the kids. Marvin was a great person and I love him dearly as I do you and the family. I will always be here for you all. Tony and I are going to miss Marvin. He was more like a father than anything else to us. I learned a lot from him and we will all rejoice one day in Heaven. I know I am going there because he told me so. I also hope the other things he told me comes to pass because most of them have. I love you all forever and always. He was a good man. He will be missed . bro marvin was a precious member of our church and will be sorely missed by all //he did believe in the miracle performing JESUS and received many a touch by HIM. he is now with the MASTER and shoutin on the streets of gold // we'll see him there soon !!!!! may GOD bless the family and comfort them in this time of grief// our prayers are with you at this time. when i was a kid uncle marvin came to stay with us for a short while. he took time to talk to me and even tried to show me knife throwing.he was my favorite uncle .just a big kid at haert. i'll miss him. Beth don't seem like its been 13 years since we became friends--I feel more like family--than just friends.. All those years I still wanted to call Marvin --Melvin LOL--Marvin always got a kick out of me calling him Melvin --Ya'll are some great people. I always looked forward to getting to come up there mainly to see you and melvin and Jeremy--I know Marvin sure LOVED you and Jeremy--Ya'll was his world..Every time I seen ya'll Marvin was always smiling and laughing--Rest in peace Marvin--God Bless you and Jeremy..I love ya'll..
My thoughts and prayers are with you Beth and Jeremy as well as Tony I know you two were very close. May your memories of Marvin comfort you all during the difficult days ahead. Death leaves a heartache no one can heal, love leaves a memory no one can steal.